Manifestazione per ricordare il 50esimo anniversario dell’Insurrezione di Lhasa. Demonstration to remind the 50th anniversary of the Lhasa insurrection. The Tibet Culture House Italy, the CISL Lombardy Trade Unions and the CISL Milan organize a sympathetic demonstration for the Tibetan men and women that have been fighting for 50 years for freedom and social justice. Also in the last days the religious rituals of the Tibetan new year, performed to remind the young people died in the Lhasa spring, were afflicted with violent events against unarmed monks. A young monk burnt himself in a extreme and desperate protest against the repression that for the last months has been crushing every attempt to give voice to the dissent. Thousands of dissidents languish in the Chinese prisons and are tortured systematically, tens were slaughtered by the special troops, many monks were forced to leave their monasteries and to join the Maquis, to escape from the capture. And all is happening in the total indifference of the International community, with the complicity of many western governments, with the assent of who do business with the regime. 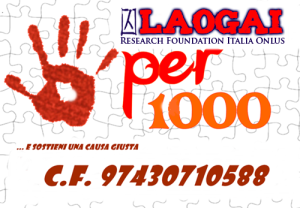 The demonstration will be held on Tuesday 10th March, at 5,00 p.m., in the Scuola Edile Milanese (ESEM) in via Newton 3. Will take part at the event Reting Tempa Tsering, ex Tibetan partisan that was imprisoned for a long time in the Chinese prisons and the representatives of the associations and groups that joined the demonstration. At the end will be project the preview of the video “In Marcia verso il Tibet – II Parte”, by P. Verni e K. Chukey, shot in India during the march organized by the Tibetan in exile. Il 10 Marzo tutti a Milano!